Rebecca Crown Center. Administrators on Thursday sent out an email saying NU is on track to resolve its budget deficit by 2021. 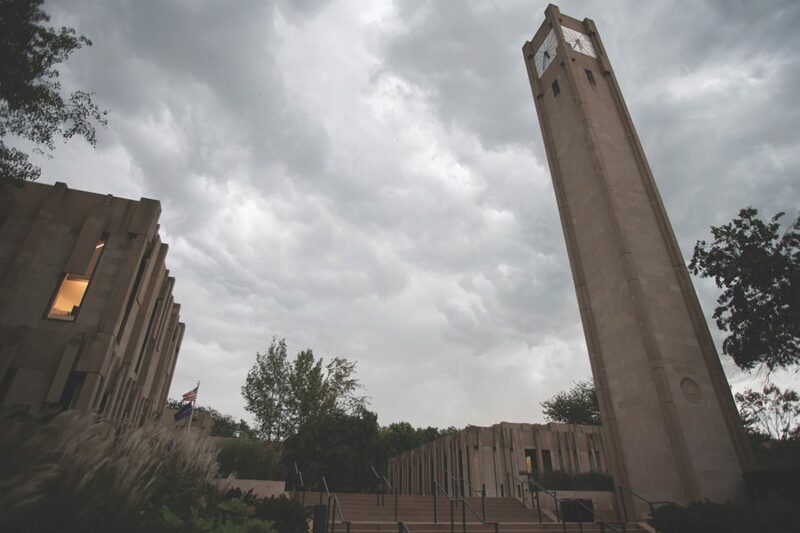 Northwestern is on track to bring the budget back to balance by the 2021 fiscal year, according to a Thursday email sent to faculty and staff. The email –– signed off by President Morton Schapiro, Provost Jonathan Holloway and Senior Vice President for Business and Finance Craig Johnson –– is part of the University’s commitment to increasing transparency by annually providing detailed financial updates. About a year ago, Holloway announced a budget deficit at a Faculty Senate meeting, which Johnson later clarified to be about $100 million. NU addressed the budget issue by cutting 1 percent of central administration staff, reducing costs in specific departments, reviewing the hiring process for open positions and making cuts in administrative and academic units, according to the email. Despite optimistic outlooks, the 2019 and 2020 fiscal years will continue to operate under a deficit. In response, NU is developing a seven-year financial plan to provide greater guidance for resource allocation, the email wrote. Despite a growing endowment and successful fundraisers, the University made cost reductions for a list of reasons –– including market conditions, the timing of gifts and restriction of using donor funds for specific purposes, according to the email. NU also considered the long-term management of the funds. “Our endowment management is also guided by an obligation to intergenerational equity — to serve the public good for future generations, not solely for our own moment in time,” the email wrote. The email clarified that all decisions made regarding the deficit reflect the University’s priorities, such as enhancing the University’s intellectual impact, building distinction in research, supporting the student experience and enhancing global academic reputation. In support of these priorities, NU plans to open the Simpson Querrey Biomedical Research Center, complete the remaining open floors of Mudd Library, hire more “outstanding” faculty and increase career advancement opportunities. The University will also focus on “a more diverse, inclusive and equitable community,” according to the email.